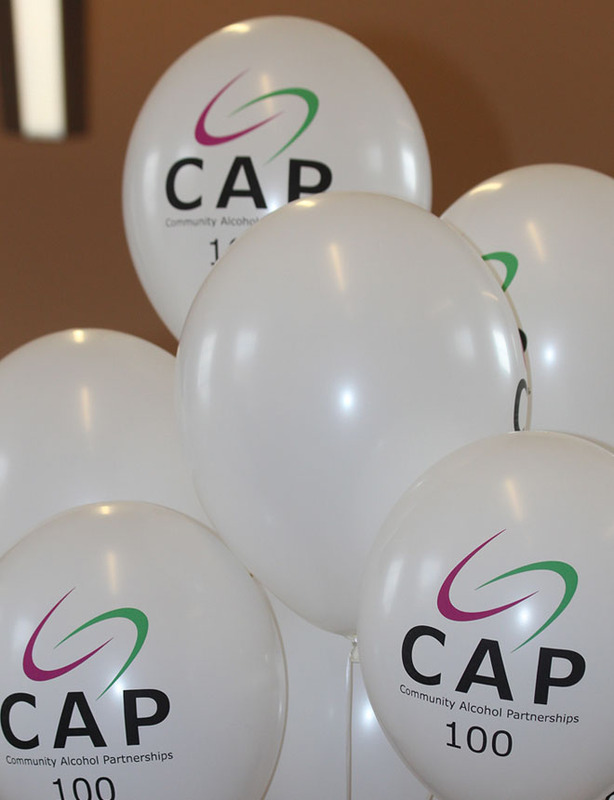 It’s been a busy start to the year for CAP with the launch of four new schemes and the landmark launch of our 100th CAP project in Biggleswade. We are in advanced planning stages for two new CAPs in the North West (Halton, Barrow in Furness) and have a partnership with Lancashire County Council where we will be working together to roll out CAPs in local authority areas across the county. We continue to expand our network of schemes – particularly across the East Midlands and the North East of England – and are confident that we are on target to launch around 30 new projects by the end of this year. Flooding in the North West and North East delayed development of some projects but these are now back on track. The CAP gazebo is proving popular and has recently been put to good use at CAP events around the country. We have joined Twitter – you can follow us on @CAPUKTweets. 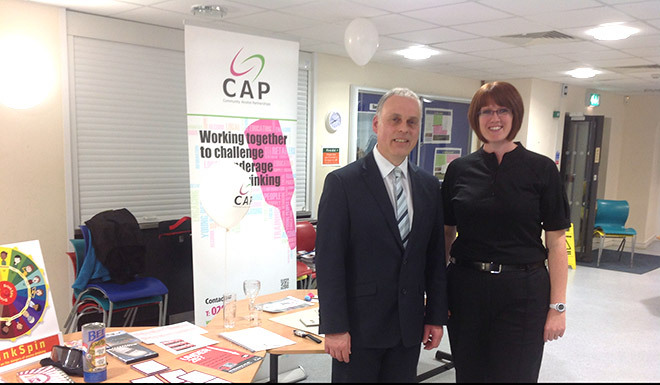 CAP celebrated the launch of its 100th scheme on 30th March in Biggleswade, North East Bedfordshire. 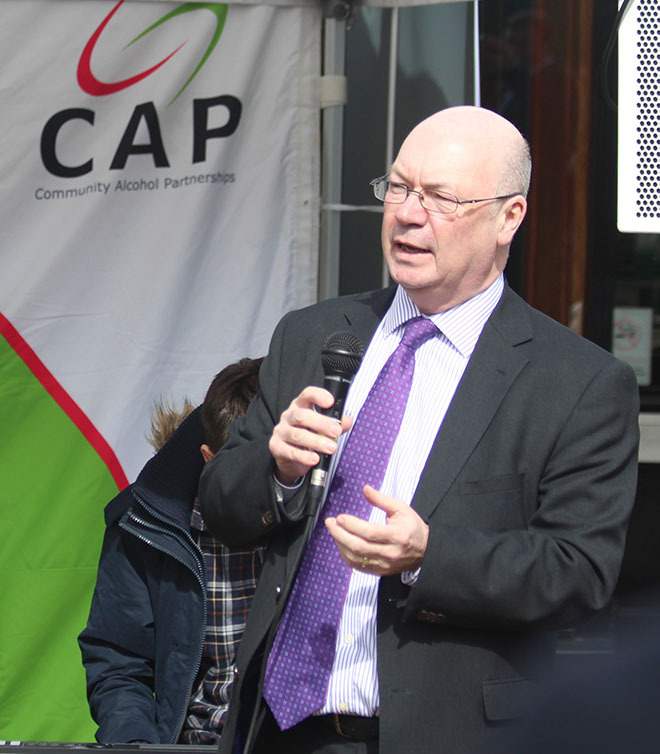 Hosted by local MP and Health Minister, Alistair Burt, the event was a fantastic occasion for CAP which connected with both its audience and stakeholders. Singer songwriter Henry Maybury and Liverpool “street” poet and motivational speaker Laura provided entertainment with an alcohol education angle and local retailers ASDA, Sainsbury’s and the Co-op provided the ingredients for a “Smoothie” bike and “mocktails” at local youth club Ground Works. “Teenagers may not think about the effects of alcohol, but starting to drink heavily when you are young can have a knock-on effect in later life on both your physical and mental health. “Underage drinking can have a devastating impact on individuals and communities and places a significant burden on the health and criminal justice systems - alcohol-related harm costs society more than £21 billion a year. “I am very impressed with the results achieved by Community Alcohol Partnership (CAP) schemes, which play an increasingly important role in driving down underage drinking and building safer and more resilient communities. To have reached 100 schemes is a significant landmark and I wish the 100th CAP scheme in Biggleswade every success. The launch of the 100th CAP and strong signal of support for CAP from Government came a few days after the announcement of the Government’s Modern Crime Prevention Strategy, which highlights CAP as an example of “best practice” in tackling underage drinking issues. CAP will be working closely with Government and the Portman Group to ensure a positive and co-ordinated response to the announcement of up to 40 Local Alcohol Action Areas (LAAAs) expected later this year. Ilkley CAP is linked to the city-wide Bradford CAP with a separate action plan to deal with localised issues. 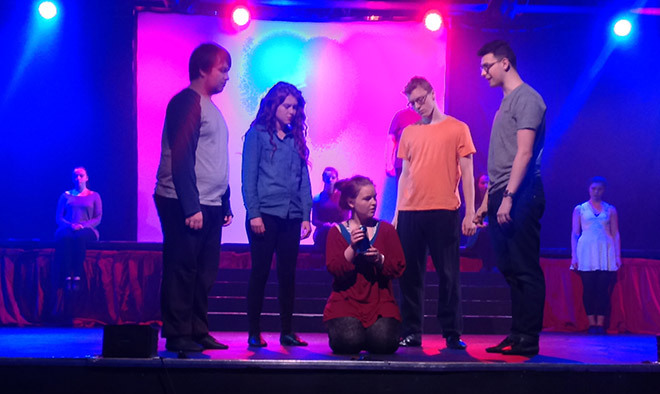 The scheme launched at a drugs and safeguarding awareness evening at Ilkley Grammar School on 19th March. The school has joined alcohol outlets, police, Bradford Council and other youth services in the partnership, with the aim of working together to address any underage alcohol consumption problems through education and prevention. Preventing proxy purchase and educating parents that an alcohol-free childhood is best forms a key strand of the project. Todmorden launched a CAP on 14th April to tackle a recent increase in alcohol-related anti-social behaviour and crime by youths across the town. It is suspected that alcohol is being supplied to the youngsters by proxy purchase from local retailers and from parents. The CAP area will cover the whole of the Todmorden ward area, also known as Valley West. Particular areas of interest where alcohol related anti - social behaviour and underage drinking has been identified are the town centre including Bramsch Square, The Outdoor Market, Tipside Park and Centre Vale Park. Todmorden has a population of approximately 15,000 people and is part of the Upper Calder Valley of Calderdale. Challenge 25 compliance testing using a “homemade” non-PASS proof of age card identified significant issues and as a result, a further retailer training session was delivered in March which has a strong focus on legitimate proof of age card training with examples of the numerous “novelty” proof of age cards available from the internet. Several CAPs have highlighted fake ID as a live issue, and we are looking at the possibility of producing a poster targeted at under 18s warning against using fake ID to attempt to make underage purchases. Partners conducted a “night audit” in March to assess the baseline level of issues in Rowley. It was a high profile event with four teams including the youth peer mentors, local councillors and local MP out on patrol to get a feel for the nature of problems in the area. Baseline surveys are now being conducted. This will be the second CAP for Sandwell. The Tipton CAP is in the process of undertaking its evaluation – early indications are that underage drinking has decreased significantly since the CAP was set up. In January 2016 Tower Hamlets launched their second CAP based in Mile End. The launch was well attended by CAP partners, industry and local retailers. Vincent Fajilamago who coordinates the CAP led a 'Partners Pledge' ceremony where members of the CAP signed up to commit to the CAP. This novel idea was really well received, especially by local traders. In recognition of the hugely successful Brecon CAP, which achieved a 40% reduction in alcohol-related youth anti-social behaviour, the Welsh Assembly has provided grant funding of £15,000 to support three new CAPs in Rhonda Cynon Taff, Powys (Newtown) and Pontardarwe/Neathe Port Talbot. The CAP team is delighted to accept offers of invitation to explain how CAP works and how it can help you to tackle underage drinking in your local area. Recently we have presented by invitation to audiences in Belfast, Glasgow, Exeter, Eastbourne, Nottingham and a Safer London Networking event. We have also been invited to present to an international audience in Brussels next week. Contact details for all CAP staff are below – we look forward to hearing from you. In the meantime, we have produced a Frequently Asked Questions document which we hope will be of interest.